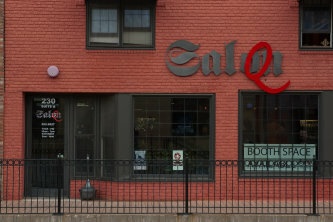 Salon Q is an energizing full-service hair and facial waxing salon, located in the heart of Old Town, specializing in Eufora and Kevin Murphy products, as well as L'anza color and products. We welcome men, women and children to our engaging atmosphere. For the latest progressions, our stylists are current on techniques and have one another for collaboration. We understand hectic lifestyles and offer flexible scheduling to meet your needs. Our goal is for you to be able to maintain your style after you leave the salon. We take time to ensure your wants and needs are met. Please call us or come by to schedule an appointment at your convenience.